Jogo Cordas Guitarra Acústica Elixir Nanoweb Extra Light Phosphor Bronze. Elixir® Strings Acoustic Phosphor Bronze with NANOWEB® Coating deliver distinctive phosphor bronze warmth and sparkle together with extended tone life. 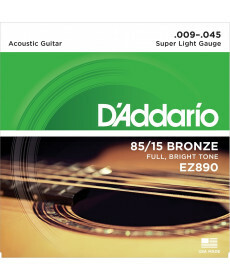 Jogo Cordas Guitarra Acústica Daddario EZ890 Super Light. Material: Bronze. 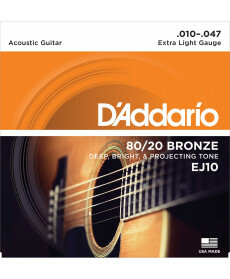 Jogo Cordas Guitarra Acústica Daddario EJ10 Extra Light. Material: Plain Steel, Bronze Wound. 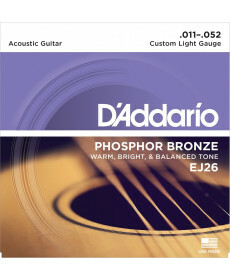 Jogo Cordas Guitarra Acústica Daddario EJ26 Phosphor Bronze Custom Light. 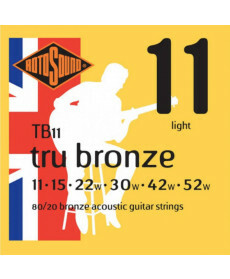 Material: Phosphor Bronze. Jogo Cordas Guitarra Acústica Elixir .012 Light. Material: 80/20 Bronze with NANOWEB Coating. 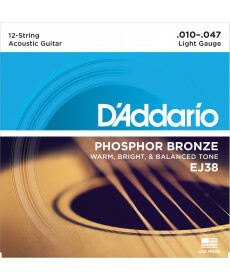 Jogo 12 Cordas Guitarra Acústica Daddario EJ38 Light. Material: Plain Steel, Phosphor Bronze Wound. 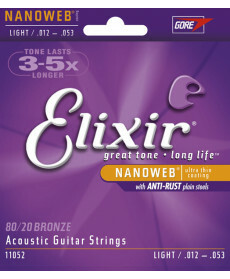 Jogo Cordas Guitarra Acústica Elixir Nanoweb Light Phosphor Bronze. 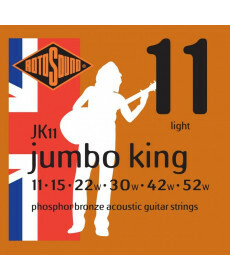 Material: Plain Steel, Phosphor Bronze Wound. 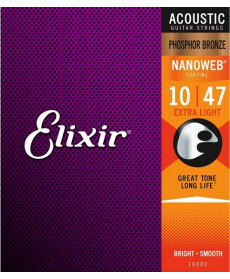 Elixir® Strings Acoustic Phosphor Bronze with NANOWEB® Coating deliver distinctive phosphor bronze warmth and sparkle together with extended tone life.